Hosting an E-Cycle Event is Easy! Start by sending us a message using the form below. For those who prefer a real, live human - you can always call us too. We will work with you to set a date and walk you through our simple process. Let your employees, friends and family know. In addition to work items, there are many items at home that can be recycled. 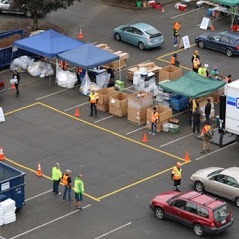 We show up at your location and pick up the recycled items.